From the Battle of Ridgeway in 1866 through the Boer War at the turn of the 20th century, the bloody battlefields of the First and Second World Wars and the War in Afghanistan in thew new millennium, the royal Hamilton Light Infantry has served its country with distinction and dedication. 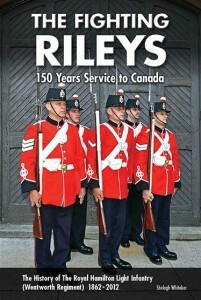 Its members, known as the Rileys, have included some of the best soldiers Canada has ever known. The Fighting Rileys is their story.